The company occupies first place in the ranking of companies in the insurance sector with the best corporate reputation. 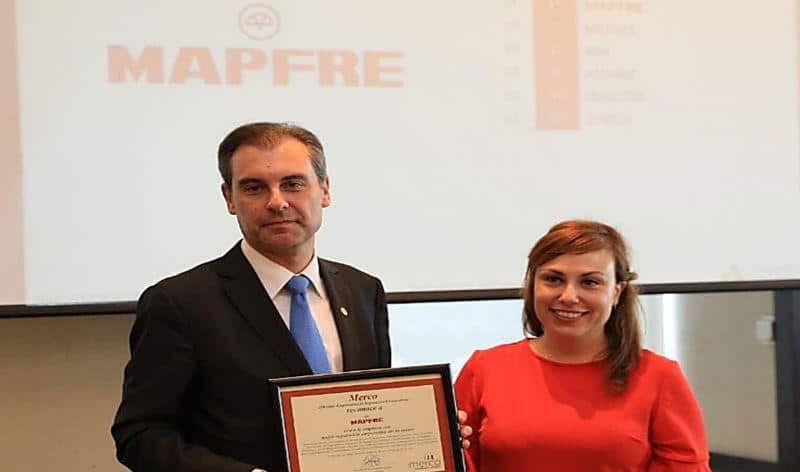 MAPFRE MEXICO has been recognized as the number one company in the insurance industry nationwide. What’s more, after rising 23 places since 2016, the company is now 22nd in the ranking of the 100 best Mexican companies across all sectors. The ranking was presented at an event attended by various executives from the participating companies. Present on behalf of MAPFRE MEXICO were Jesús Martinez Castellanos, Regional CEO for Latam North and CEO of MAPFRE MEXICO; Alfredo Bonifaz, General Secretary of MAPFRE MEXICO; José María Romero, Executive Commercial Manager; and Rafael Rebollar, Executive Marketing Manager. Jesús Martínez proudly accepted the reward on behalf of the whole company, as it positions MAPFRE MEXICO in an outstanding place at the head of the nation’s insurance industry. It is worth noting that MAPFRE MEXICO has achieved a number of major successes this year, including the award of the PEMEX policy and the launch of new and innovative products. MERCO has been assessing the reputation of companies since 2000, and is the benchmark Corporate Reputation Business Monitor in Latin America and Spain.